— Echo’s Children: a Seattle-based duo, their final CD came out in 2004, and some of them are no longer available. — The Duras Sisters: a Phoenix-based filk group that no longer sings or performs together, and the website says their CDs are still available for sale, but those sites don’t exist anymore. – Echo’s Children: a Seattle-based duo, their final CD came out in 2004, and some of them are no longer available. As far as I know, only one of the CDs is out of print from the various filk dealers. (One of their first two). I have seen the others as recently as the past 1-2 years at filk conventions. The CD you are looking for is “As Good As Any”. – The Duras Sisters: a Phoenix-based filk group that no longer sings or performs together, and the website says their CDs are still available for sale, but those sites don’t exist anymore. The two CDs they did have published by Dandelion digital are gone. (Dandelion Digital is out of business, unfortunately.) 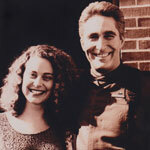 The good news is that Jeff and Maya Bohnoff (mentioned above) have rereleased the CDs with some extra tracks. (2-3 songs per CD). I know there was at least 1-2 songs that existed on a filk tape that Roberta Rogow had performed (One did make a CD jump on a very limited release in 2008.) and I know I have heard songs at various filk circles. Tim, regarding my comments on Delenn’s pregnancy…you had it right. 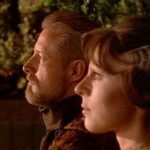 What I thought was overdone was the drama surrounding Delenn becoming ill, fainting, being sent to MedLab, yada yada…how many times have we seen that story? But it really wasn’t so much a complaint about that, which is why I waved it off as something they might have done differently if it wasn’t the last episodes of the series. It was the long discussion of whether or not Garibaldi’s alcoholism was treated in an innovative way, or if it relied on certain tropes. And it just seemed funny to be that the alcoholism was the subject of that discussion, rather than the much more cliched treatment of Delenn’s early-pregnancy vapors! What might have been funny would have been to see her acting as if she were under the effects of alcohol, for short amounts of time at first, then longer ones as she progressed, and it taking longer to figure out the cause. Since she a Minbari hybrid, my guess is that the typical symptoms would manifest with her and affect her more mildy or entirely differently than they would with a full Minbari, thus adding to the puzzle that Franklin would have to figure out. If we’d had more season, maybe that’s how it would have played out… it could also explain why they only ever had the one child, because they didn’t want to put her through that again. See, now, that would have been different….play it out over the course of a longer portion of the season, maybe something a little odd but fairly innocuous…and then WHAM…Delenn is seriously ill, having massive critical issues, etc. I’m sure some people would have guessed the cause, but it would have been a lot less conventional. All things being equal, though, Joe did have a hell of a lot more on his mind than how to handle that little plot point! Now I’m going to have to watch ‘Objects At Rest’ again! I did not realize they showed the crew and others involved in the show! That is so very cool! To clarify to the caller who said my grandmother had a point about Lennier’s actions in Objects at Rest, her anger wasn’t that it was an “out of character” moment. The woman watched Oz for F’s sake, she’s seen good/bad people do bad/good things plenty of times. 😉 The point of her anger was that JMS made the character do that at all, in character or otherwise, because Lennier was her favorite and she took it personally. @Mo: everyone’s in the hyperfast slideshow that flashes by before the end credits start. You literally have to pause the DVD and step-frame forward in order to see them all. Yes, I do have screencaps of each frame. There’s 31 of them. @Arkle: your grandmother watched Oz? Wow. Yep. In fact she’s the one who got me watching it. Thanks, Summer. I’ve been watching online, so it looks like I’ll have to wait until I buy the DVDs. .
And of course you have screencaps. I’d be disappointed in you if not! I always thought (without hearing or discussing it with anyone) that Drakh, being followers or underlings or servants of the Shadows had access to such things as the Shadows deemed useful to their plans. The phase-in/phase-out effect seemed to me to be very much like the Shadows own appearance and so I drew the conclusion that this was some kind of stealth or cloaking technology offered for use to the Drakh by the Shadows. Of course, later on when the effect disappeared and the Drahk changed appearance, I figured it was the Klingon effect again (same race, different budget). Please keep up the commentary on the space exploration by NASA and the budget. I love it! Purple, Green. Democrat, Republican. The One, Not the One. JMS is an enlightened dualist it seems with subsumed monotheistic tendencies. In these an many other cases, I thought he was making the point that for everything there is a choice but actually no choice at all. Light and Shadow is of course the big one, but the series are full of dualistic themes. Even Day of the Dead, the episode you love to hate, is chock full of this. Shadows’ spokesman Justin espoused it as did Kosh who was happy to be his own spokesman. The finale where Sheridan tells them both to leave ‘us’ alone is a rejection of this presumptive choice of “it’s either light or dark, you choose” — JMS has Sheridan follow his own world view by substituting a third ”choice.’ JMS would not make a good Daoist.